The B&T MP9 QD adaptor fits on all 14mm ccw threaded barrels and allows the impressive B&T MP9 QD Silencer to be quickly attached. 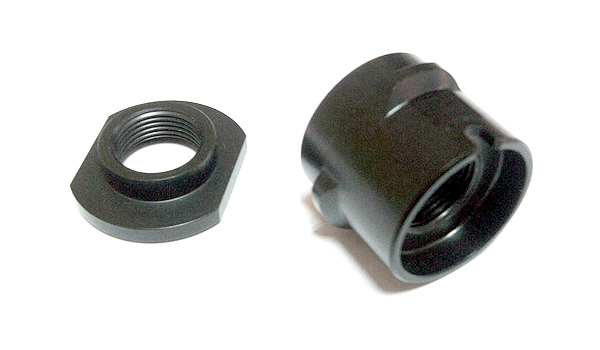 The adaptor consists of 2 pieces: a locking ring and an adaptor. The locking ring ensures that the adaptor can be positioned with the lock recess precisely at 12 o’clock. This makes the barrel extension tube, lock on the gun with its accessory rail directly underneath.